Before the Second World War, Norwich could boast a church for every week of the year, and a pub for every day. 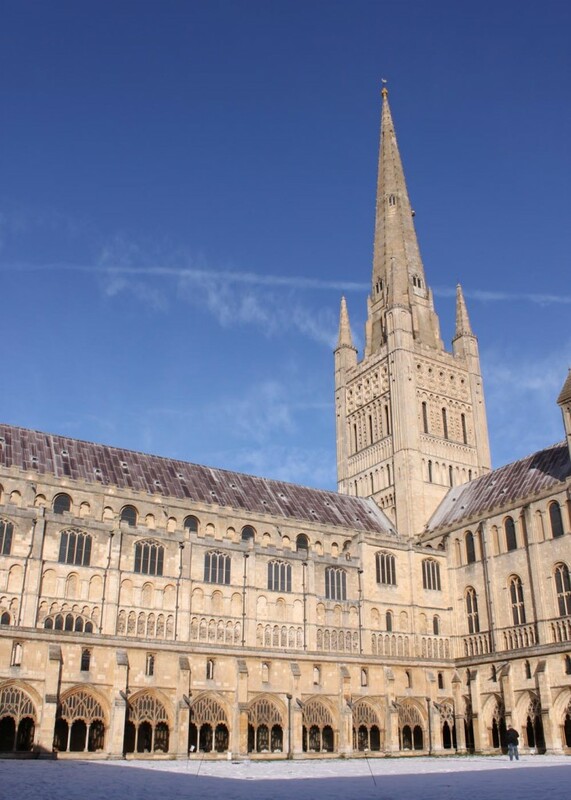 Whilst much of the city was blitzed in the Baedeker raids, there is still a lot of medieval Norwich to explore, with the jewel in the crown being the Cathedral. Building work started in the 11th Century, and the first phase of building was complete by the end of the 12th Century. Some of the wall painting survives from this first phase. The spire was later destroyed by a hurricane in the 14th century, and the roof of the nave was burned down in a fire in the 15th century, so there is now a fascinating mix of architectural styles in the current building. 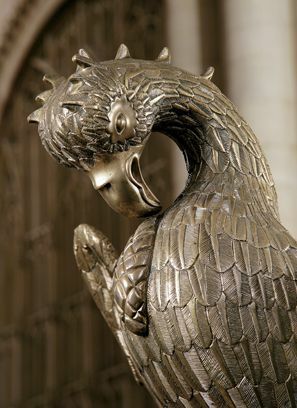 One final bizarre fact is that the lectern, modelled on a pelican no less, was buried in the bishop’s garden to survive the Reformation. It was found by chance many years later, and restored to service. You can find more pictures of the cathedral on our facebook page. This entry was posted in In The Area on February 2, 2013 by Dave.